You’ve read the book. You’ve watched the movie. Now come see the boy who never grows up in an all-new theatrical adventure! 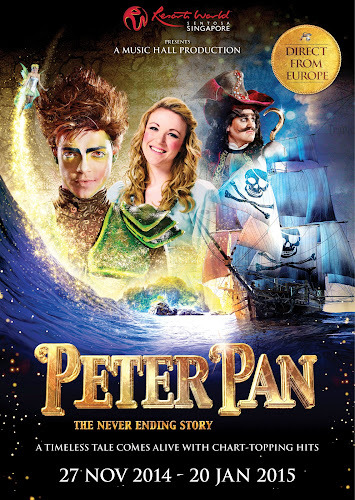 Direct from Europe to Singapore, Peter Pan, The Never Ending Story will make its Asian premiere at Resorts World Sentosa (RWS) on Thursday, 27 November 2014. 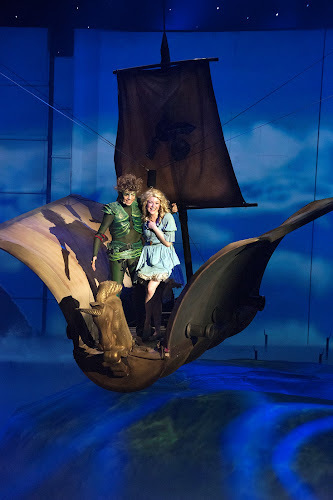 The show tells the timeless tale of Peter Pan, but with a twist – there’s no dialogue in the show! Instead, the story is told through well-known pop songs like “Angels” by Robbie Williams, “You Raise Me Up” by Josh Groban, “Kiss From a Rose” by Seal and many more. These chart-topping hits have been given a refreshing makeover by Grammy-winning composer and musical director, Mr Matt Dunkley, one of the world’s leading orchestrators, arrangers and conductors and he has worked on over 100 films including Moulin Rouge, Pirates of the Caribbean and Inception. A show for all ages, this production tells the enchanting story of Peter Pan, a mischievous boy, with the ability to fly and refuses to grow up. One night, Peter visits Wendy, John, and Michael Darling in their London nursery and takes them on a magical flight to Neverland where the Lost Boys, Indians, mermaids and pirates await them in adventures beyond their wildest imaginations. 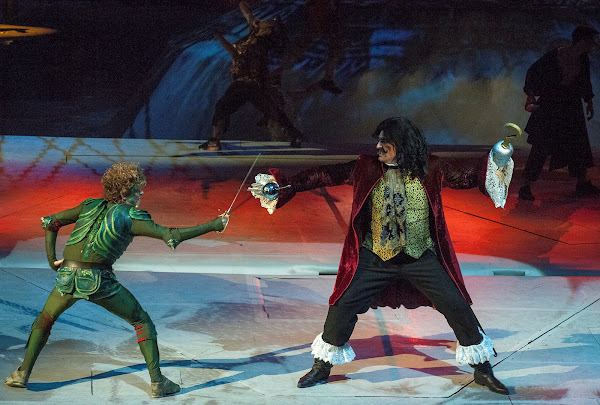 However, the villainous Captain Hook hatches an evil scheme that crescendos to a dramatic swordfight with Peter. 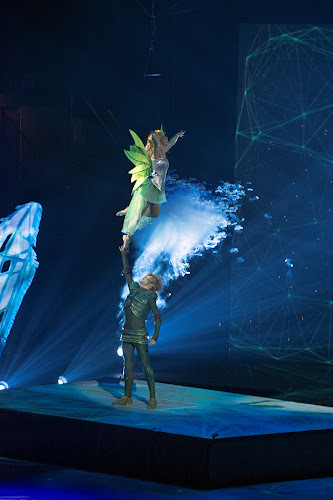 Watch the classic J.M Barrie tale come alive in this theatrical spectacular brimming with highflying action, thrilling swordplay and magical fairy dust! This show promises stunning visual effects that will keep the audience at the edge of their seats!! The most modern technologies in the form of an ingenious projection system are used to change the scenery and atmosphere, allowing the audience to feel like they are with the characters embarking on the same adventure throughout the show. 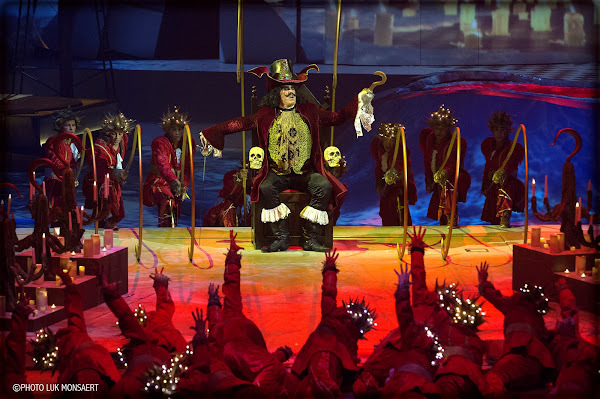 The original direction and scenography of the show was entrusted to Mr Luc Petit, who has collaborated with Mr Franco Dragone on Cirque du Soleil productions for 10 years and was the man behind the opening ceremony of Euro 2000 in Brussels, Belgium. The show’s choreography is led by the brilliant and classically-trained ex-ballet dancer Mr Martino Muller from Switzerland and is directed by actors director, Ms Lulu Aertgeerts, with artistic direction from Mr Geert Allaert, founder of Music Hall, who created the original idea for the show. Peter Pan, The Never Ending Story is presented by RWS in association with Belgium’s Music Hall. Since its first show in 2012, this show has played to audiences in Belgium, Dubai, Netherlands and the United Kingdom (UK). 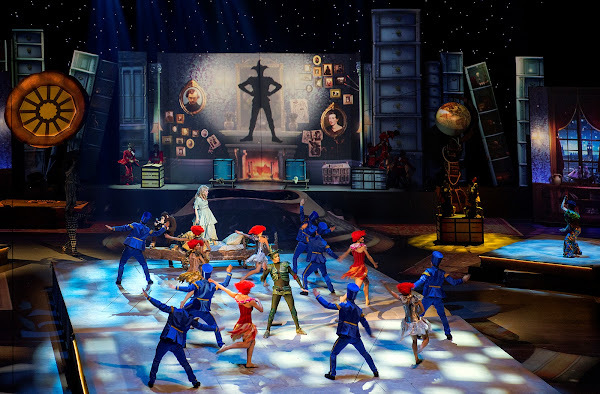 It is set to be the most enjoyable holiday show for the entire family in Singapore this year-end! Congratulations to Sushan Yow and Jazry Chan!! 2) Like and share this Peter Pan post publicly on Facebook. Tag a friend that you wish to watch the show with. 3) Post a comment at the bottom of this page with your name (same as Facebook) and email address (your email will not be published), telling us which is your favourite character from Peter Pan. – This giveaway is open to Singapore residents only. – All 3 steps mentioned above must be completed to qualify for the giveaway. – Closing Date: Monday, 27 October 2014 at 23:59 Singapore time. – Two winners will be randomly picked. – Winners have to respond to my email within a day, or the prize will be re-drawn. – Tickets for this giveaway will be for the opening weekend 28-30 November (exact date subjected to changes by RWS and will be further communicated to the winners).